I grew up on the beaches of Southern California. The beaches always meant warm, sunny days, searching for the best waves to surf on. And, of course, it also meant searching for the best bodies to wave at (well, what else can you expect from a group of unbelieving eighteen year old boys: hormones and lookouts). But this past June 7th. I was introduced to a whole new beach experience. Finally, we arrived at the beach. The weather was a perfect 80 degrees, with a soft gentle breeze blowing in our faces. After winding around in the beach parking lot, passing row after row of cars, like ants waiting in line for their lunch, we found our “little” parking spot. We walked “slowly” down a double flight of stairs, to the open beach–miles and miles of porcelain white sand and the soft breaking waves of the Mediterranean Sea. 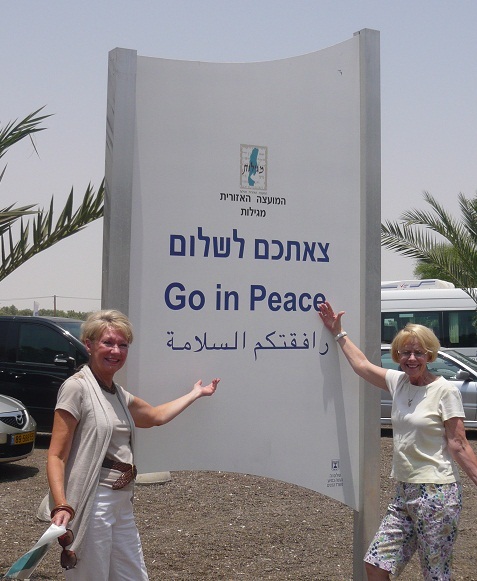 We had just arrived at Rishon Le Zion Beach, located along the central Israeli coastal plain, about seven and a half miles south of Tel Aviv. What a perfect day for the beach. But what made the day perfect was not the setting, beautiful as it was, but something far more momentous. 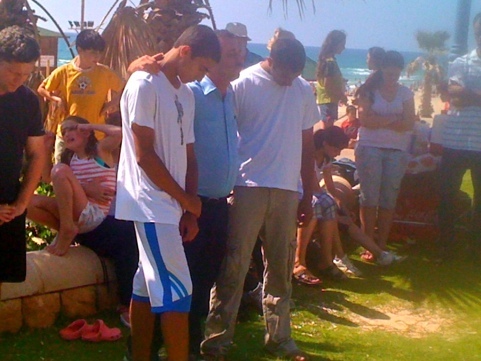 It was the day of the immersion (baptism) of two Israeli brothers. 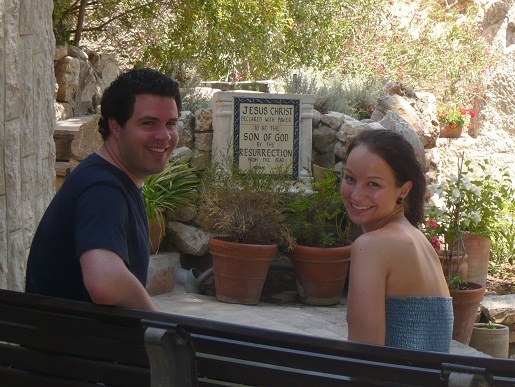 When two brothers get baptized in the states is not unusual, but, here in Israel, it is momentous. In fact, when any Israeli comes forward to be “immersed,” he is making a public confession that could have dire consequences from all who know him. 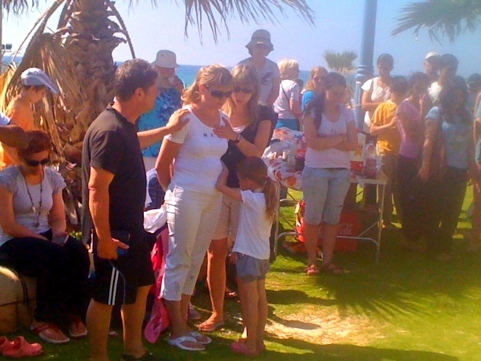 So, in the first place, what does “baptism” mean to Israeli believers? The Hebrew word “tevelah” means “immersion” or, in Christian settings, “baptism” (a term not used here in Israeli congregations because of the church’s history of forced baptisms of Jews, even some they intentionally immersed until they drowned!). 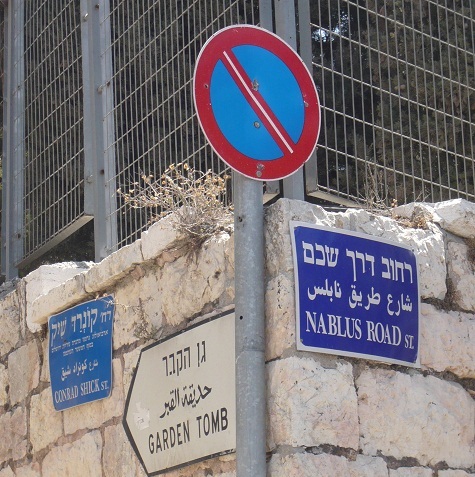 Second, what then is the significance of a public “tevelah” in Israel? 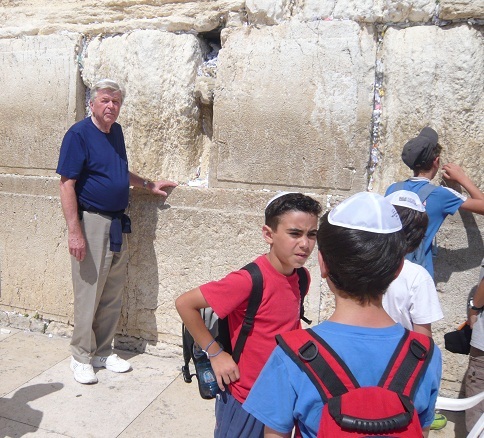 Each of these two young brothers, one sixteen and the other nineteen, had spent several months in biblical instruction from their parents and their congregational leaders on the meaning of a public “tevelah.” Now, in essence, they were saying, “Okay, Lord Yeshua [Hebrew for “Jesus”], here I am! Do whatever you want with me, come life or death; come the loss of my family, my friends, my co-workers, even my fellow-soldiers! You died for me! I will live for you!” It sounds pretty serious, doesn’t it. Kind of like the first century! Kind of like the New Testament (see Matt. 28:18-20; Acts 9:1-30, esp. 23-25, 29-30; Rom. 6:1-4ff. ; etc.). But these two committed young Israelis were not alone. I guess.) And they hugged and kissed [“holy” ones! ], shouted and sang songs of victory, and prayed for an hour or so (I lost track of the time). The boys then shared theirs personal testimonies. Then the elders committed them to the Lord and His kingdom service. And down to the water we marched, singing and rejoicing the whole way. No wonder, so many of beach bathers came up to us and asked, “What’s going on? You guys seem so happy.” What a chance to share the good news of the gospel, in Hebrew and in English (and who knows what other languages). After the immersions, back to the tables for food, fellowship, and worship again! And this kind of celebration is going on all over Israel on a regular basis, but especially among the young. To God be the glory! Now that’s what I call a momentous day–from a momentous Lord! “O taste and see that the LORD is good; how blessed is the man who takes refuge [who trusts] in Him!” (Ps. 34:8). God is supposed to “order our steps.” At least that’s what the Bible says (Prov. 3:4-5). Right? Meet Vladimir (he’s the young, good looking one on the right–in case you didn’t know). 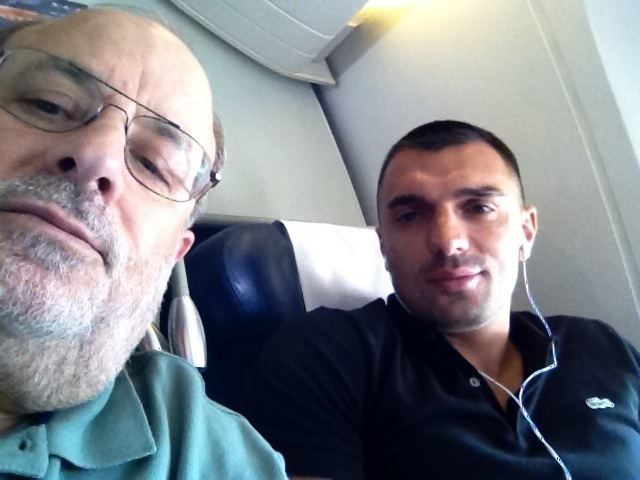 For ten hours we sat next to each other on an EL AL Super Jet, soaring from Newark to Tel Aviv. A smooth flight with some pumpy conversations. Guess about what? Rather, about Who? Vladimir is a thirty year old Israeli who travels in and out of China and Russia, importing jeans and other Israeli-demanding goods. He has a girlfriend. Together they’re living the good life. I don’t know about his girlfriend, but, after ten hours in the air together, I know about Vladi. He’s lost! And now he knows he’s lost. When Vladimir was sixteen, his Armenian father and his Jewish mother sent him from Armenia to Israel to live on a kibbutz–by himself! Vladi’s older sister and his younger brother remained in Armenia with their parents. Like a baby eaglet kicked out of its nest, Vladi was left in Israel to learn to fly on his own. And learn to fly he did. Mostly in the wrong direction! Like all Israeli boys, at eighteen Vladi entered the Army, serving his country for three years. Later he served as a part of the personal body guard for Ariel Sharon. And like all Israeli girls, Vladi’s girlfriend also served in the the Army for two years. Young Vladi, driven to prove himself, advanced rapidly, achieving the rank of major in a short time. But it was costly time. Vladi fought in one of Israel’s many wars against Arab terrorists and saw his two best friends brutally murdered on the field of battle. A man’s physical scars can last for for a short time. But emotional scars can last for a person’s whole life. Vladi’s emotional scars found some relief in his emotional atheism, “There is no God. There couldn’t be. Just look at the world: The Armenian Holocaust, Hitler and the six million, Islam taking over the world–including Israel, etc.” Vladi had woven together a Linus Blanket to keep him safely tucked away from the God who was not there. I’ve never seen anyone argue so vehemently against Someone who doesn’t exist. But if God doesn’t exist, why bother arguing that He doesn’t exist. Just forget about it and move on. But Vladi is doing everything he can to convince himself that God really doesn’t exist! And like St. Paul of old, Vladi is learning a sharp and painful lesson, “It’s hard to kick against the goads” (Acts 9:5). But God does exist. And during our flight together, God would make the goads even sharper! 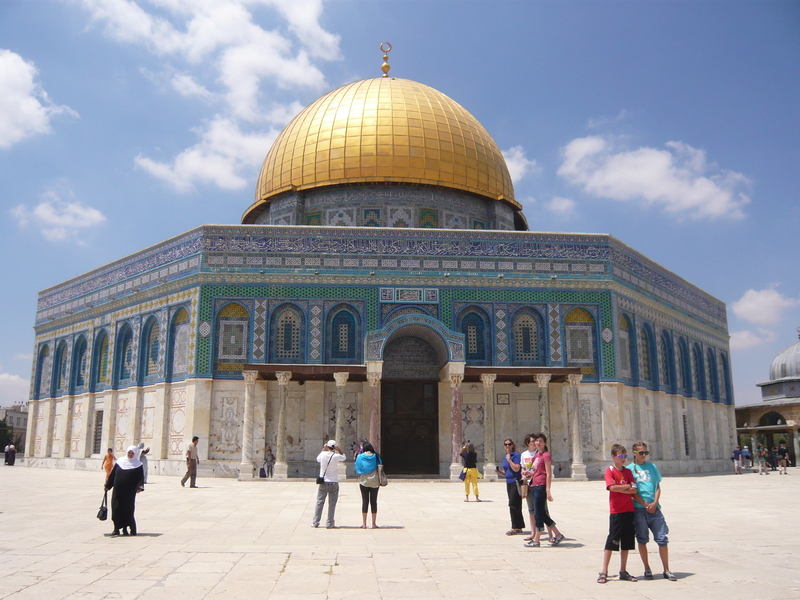 Our flight to Ben Gurion Airport consisted of a little sleep, a lot of food and prayer (by me), and more talk about the God who doesn’t exist, the latter the best of all. Vladi didn’t move much in our divine discussion. But then it happened. The whole discussion changed. About an hour before landing, I was reading a book. Literally out of the corner of my eye, I noticed Vladi leaning forward toward his backpack on the floor in front of him. He zipped it open, reached in, and retrieved a pinch of something (cocaine?). Slowly moving his fingers toward his nose, while keeping watch out of the corner of his eye, Vladi snorted the white powder into his nose. And to make the whole thing even more bizarre, as he snorted the stuff, his eye caught mine! Gotcha! Now what? I quickly moved toward the potty, one row behind where we were sitting. Once inside, I locked the door and shot up a quick sky telegram to God, “Now what Lord?” And He answered me with this impression, “Go for the conscience! Go for the heart! You’ve been going for the mind. Well and good. But now go for the conscience. After all, the Apostle Paul did all of the above depending on the person and the situation, ‘. . . by the manifestation of truth commending ourselves to every man’s conscience in the sight of God'” (2 Cor. 4:2). As the airplane began to prepare for its landing, Vladi finally looked up at me, eyeball to eyeball. He smiled for the first time in the flight. Not just a smile, but a broad, happy grin! As the wheels of our plane hit the tarmac, I told him I would pray for him. He responded, “Please also pray for Greg, my eighteen year old brother. He’s in the Army.” We exchanged email addresses and headed out of the plane toward passport control and baggage claim. As I headed out of the airport, I looked over my shoulder and Vlady saw me and waved, shouting, “Shalom.” I returned the greeting, “Shalom.” He still had that broad, happy smile on his face. Old faces, like old places, are proven by the test of time. Just think about it for a moment. Every major decision you’ve made was grounded with an old face, in an old place—and then confirmed over time! Or try reversing it. When you think of an old face or an old place, what comes to your mind? Probably some significant point of transformation in your spiritual journey. That’s why we go out of our way to reconnect with those special old faces. It’s why we retrace our steps back to those special old places. He who walks with wise men will be wise, but the companion of fools will suffer harm (Prov. 13:20). A man of too many friends [acquaintances] comes to ruin [will be broken], but there is a friend who sticks closer than a brother (Prov. 18:24). A friend loves at all times, and a brother is born for adversity (Prov. 17:17). Iron sharpens iron, so one man sharpens the face of his friend (Prov. 27:17). If we would be wise or skillful in living life to the fullest, we must heed our Wise Old Lady’s call: Find a few wise old faces, faithful faces to whom we can glue ourselves, especially in times of adversity and let them sharpen us into Christlikeness. So why in the world would God bring me all the way to Israel to reconnect with a couple of old faces in this unique old place? I have no idea yet. God’s ways often seem out of the way, but since He is God and I’m not, His ways always prove to be the best ways. So a few days ago, Phillip and I made our way up north to the ancient Canaanite and Israelite city of Megiddo, located in the strategic Valley of Jezreel. If the name Megiddo sounds familiar, it’s because we described it in detail in my recent Book of Revelation Class: “Har-Magedon” [lit. 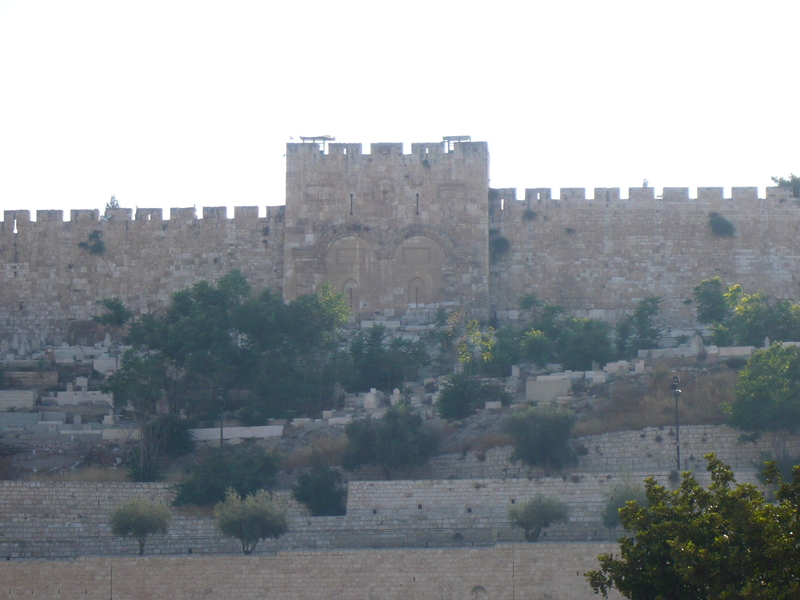 “Mount of Megiddo”] or Armageddon (Rev. 16:16). Hopefully many of your remember it, right? But for those of you who don’t remember or those of you who joined us on our Israel journey, Megiddo is a very old place, going back some 6,000 years! But its history is nothing compared to its prophecy. The Valley of Megiddo will become the final gathering (and resting) place for all the anti-Christian nations of the world. As these armies gather in the Valley of Megiddo for the last great apocalyptic confrontation, “the war of the great day of God, the Almighty” (Rev. 16:14), their leaders will challenge the Lord of glory with their latest word in military strategy. But our Lord Yeshua will have the last Word: “From [the Lord’s] mouth comes a sharp sword, so that with it He may strike down the nations, and He will rule them with a rod of iron; and He treads the wine press of the fierce wrath of God, the Almighty. And on His robe and on His thigh He has a name written, ‘KING OF KINGS AND LORD OF LORDS’” (Rev. 19: 15-16). 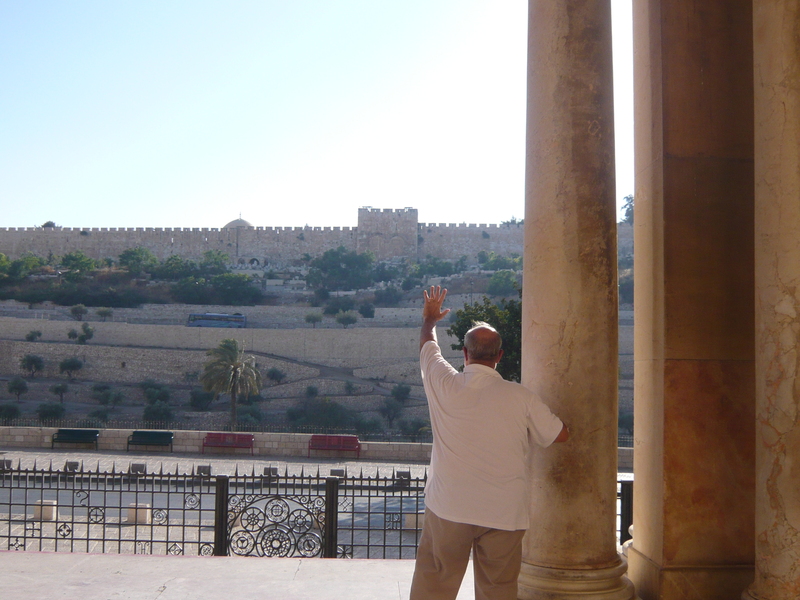 And guess what, we’ll be on the winning side: “Then the LORD, my God, will come, and all the holy ones with Him!” (Zech. 14:5b). “Behold, the Lord is coming with many thousands of His holy ones, to execute judgment upon all, and to convict all the ungodly of their ungodly deeds which they have done in an ungodly way, and of all the harsh things which ungodly sinners have spoken against Him” (Jude 14-15). “And I saw heaven opened, and behold, a white horse [not a donkey this second time], and He who sat on it is called Faithful and True [cf. 1:5; 3:7; in contrast to the Beast], and in righteousness He judges and wages war. His eyes are a flame of fire, and on His head are many diadems [the royal, sovereign crown]; and He has a name written on Him which no one knows except Himself. He is clothed with a robe dipped in blood, and His name is called the Word of God. And the armies which are in heaven, clothed in fine linen, white and clean [cf. 19:8], were following Him on white horses” (Rev. 19:11-14). “Hallelujah! For the Lord our God, the Almighty, reigns” (Rev. 19:6b). So back to our own little journey to this place of Megiddo. As Phillip and I were nudging our way through the twenty plus layers of civilizations at Tell Megiddo. 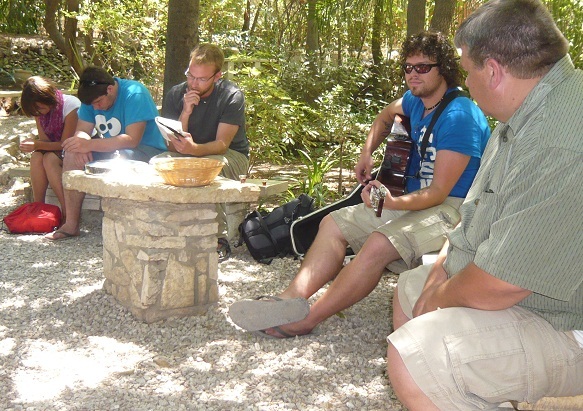 Nothing so unusual about that, other than the fact that we were the only two guys at Megiddo except one small group. As I glanced over my left shoulder, I thought I noticed a familiar old face. Then I realized this was really an old familiar face: Larry Feldman. 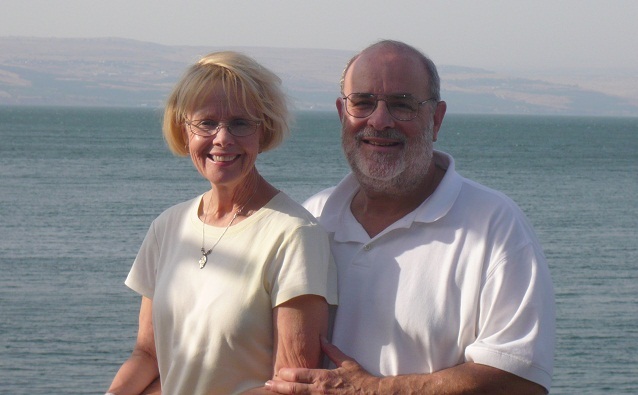 Larry is a wonderful messianic leader of a congregation in Southern California (plus a Dallas Theological Seminary graduate). I have known Larry and Fran for more years than we would like to remember. 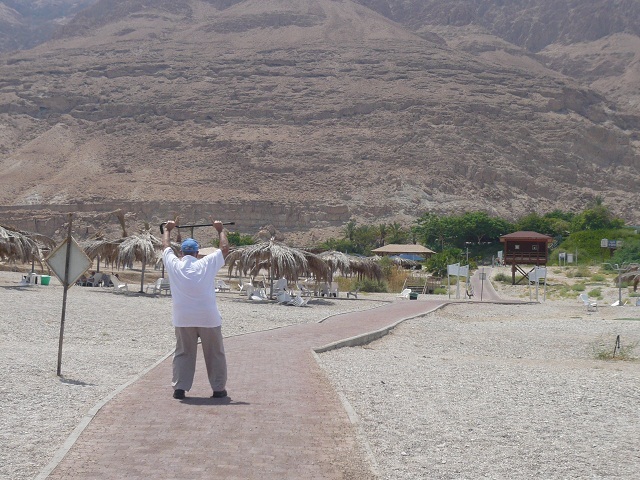 And to make matters even more emphatic, God pumped us into them again on the next day at Tel Dan. Old friends in old places have an incredible way of sharpening us, don’t they. 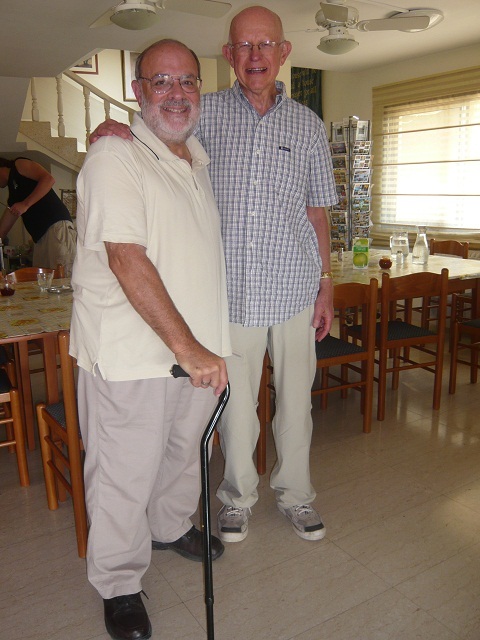 The next day as Phillip and I were having our last breakfast at Beit Bracha [“House of Blessing”], our home-base for our northern Israel explorations, I looked over my left shoulder, and who did I notice? (You better be sitting down for this one!) None other than Dr. Ted Martin. You are probably wondering, “Who in the world is Dr. Ted Martin?” Dr. Martin was the Director of Campus Crusade for Christ’s Institute of Biblical Studies at Arrowhead Springs, Calif. (CCC’s headquarters in those days), in the summer of 1966. 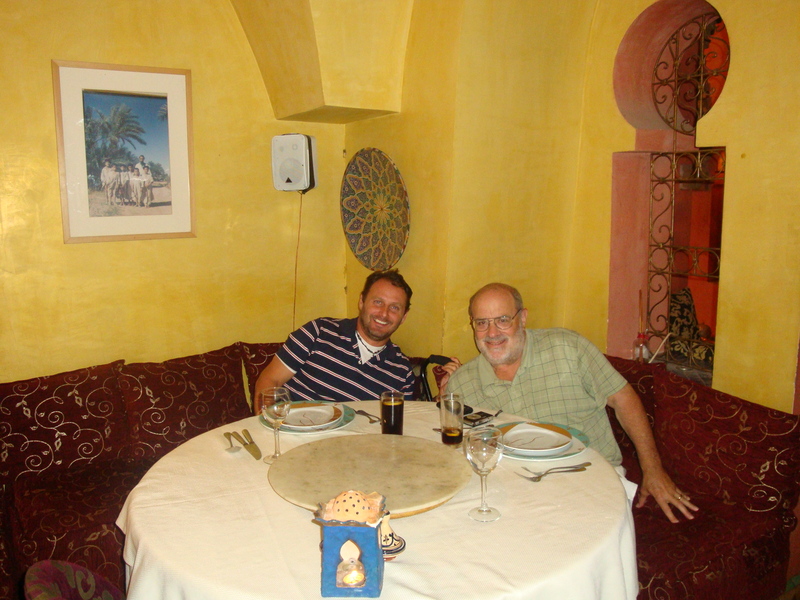 Having just graduated from UCLA as a new believer, I attended to Dr. Martin’s IBS. And you guessed it: I hadn’t seen Dr. Ted Martin since the summer of 1966. That’s right: 44 years ago! The real miracle was not that I just happened to spot Dr. Martin, but that I actually remembered his face and his name. (Who says that God can’t still work in an old face, in an old place!) Ted and his wife Gwen have been on CCC’s Staff for 50 years. Ted is 79 years old and still going hard after the Lord and His kingdom work. Old friends in old places have an incredible way of sharpening us, don’t they. 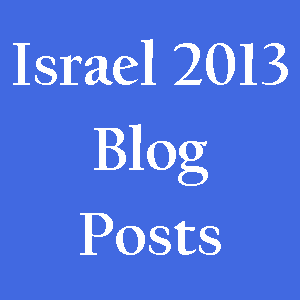 So as we end our journey to Israel (we’re heading home on Monday, July 19th. ), I want to thank each of you for making it possible and for coming along with us. You are our old faces who joined us in some old places, over just a short time (for this time). But we’re inviting you to join us next summer on our next journey to God’s old place so that we might all catch a glimpse of the One and Only Old Face, the only Face that never grows old! For to catch a glimpse of this amazing Old Face is to be transformed into His image, no matter what old place we find ourselves (cf. 2 Cor. 3:18). To our Lord Yeshua, the Eternally Young Face, be glory and honor and praise, now and forever! 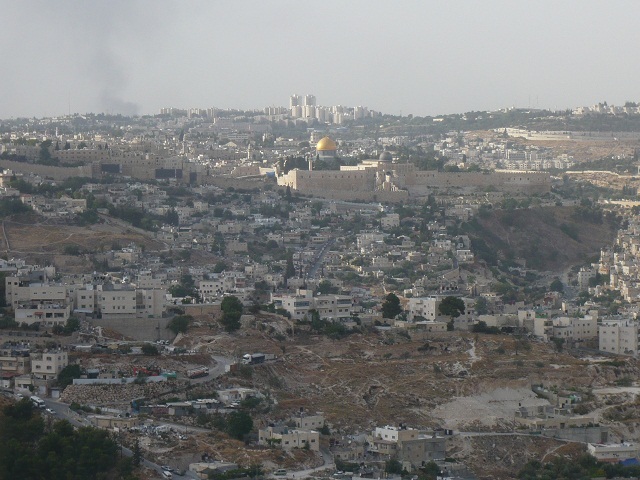 "Next Year (2011) in Jerusalem!" When all is said and done, we only have one ultimate decision in life: Are we going to choose to pass out of death into life or are we going to choose to rebel against life and remain in death? “Truly, truly, I say to you, he who hears My word, and believes Him who sent Me, has eternal life, and does not come into judgment, but has passed [once and forever] out of death into life” (John 5:24). The Lord Yeshua said it. I believe it. Do you believe it? For the last couple days, Phillip and I have been trekking down into the lowest place on Planet Earth: The Dead Sea. The Dead Sea is approximately 48 miles long, 11 miles wide, 124 miles around, 189 square miles on the surface, 1,292 feet below sea level, and 1,319 feet deep. The bottom reaches 2,600 feet below sea level. 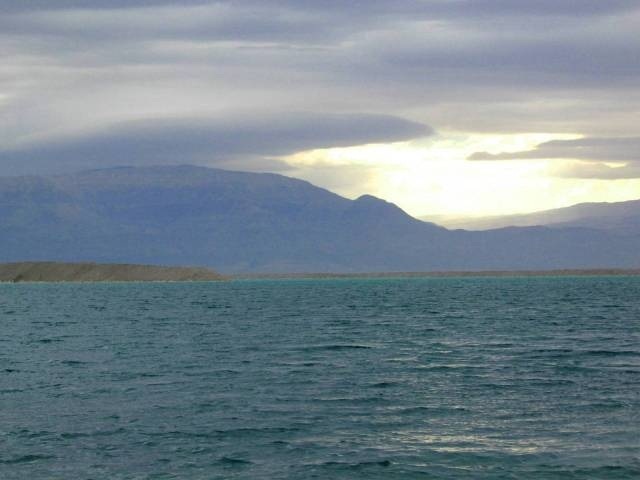 The Dead Sea also contains one of the richest mineral deposits on the earth. It is actually so dense in minerals, it is impossible to sink. Phillip tried and all he could do was float, one of his better feats on the trip! But why is it called “The Dead Sea”? Like dead as in “dead”? Like “dead, dead”? The answer: Because The Dead Sea is dead! (I’m sorry I don’t have a more scientific reason for the name.) But why is it so dead? The answer: Because although everything flowing into the Dead Sea is alive, everything flowing out of the Dead Sea is dead. 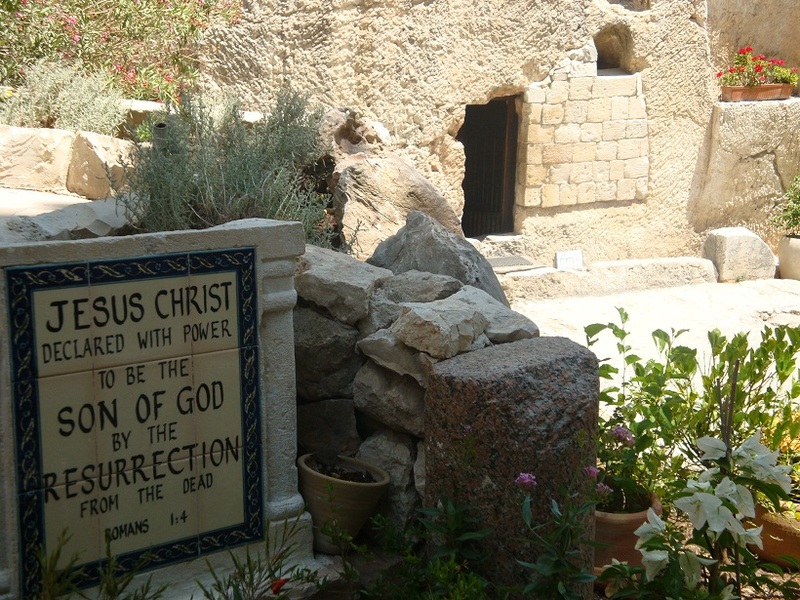 To be more exact, nothing actually flows out of the Dead Sea. 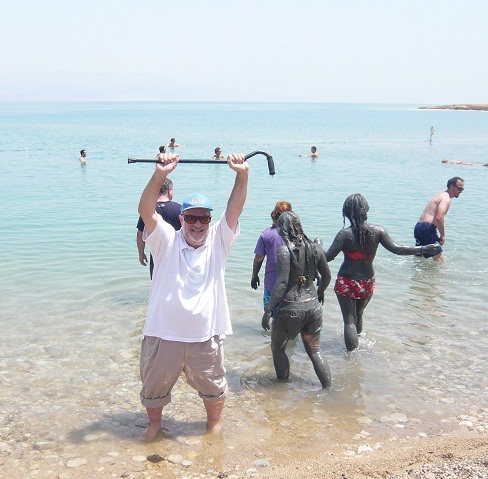 Fresh, living water flows down from the snows of Mount Hermon in the far north of Israel (9,230 feet above sea level), continuing to flow southward down the Jordan River, eventually emptying into, you guessed it, the Dead Sea. But that’s the end. 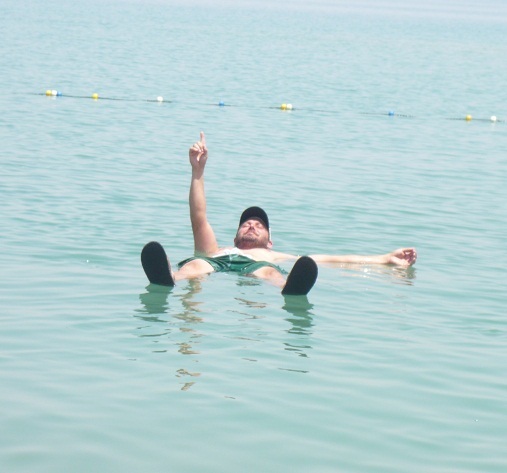 Whatever life entered the Dead Sea from the north, ended in death in the south! So it is with us. If God’s life-giving, living waters of His Spirit (John 4:10-14; 7: 37-39) only flow into us and do not flow out of us, the results are predictable: death! “So choose life in order that you may live, you and your descendants” (Deut. 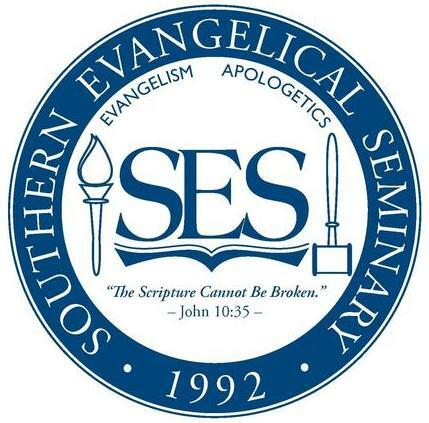 30:19). “If it is disagreeable in your sight to serve the Lord, choose for yourselves today whom you will serve; whether the gods which your fathers served which were beyond the River, or the gods of the Amorites in whose land you are living; but as for me and my house, we will serve the Lord” (Josh. 24:15). Which will you choose today: death or life? 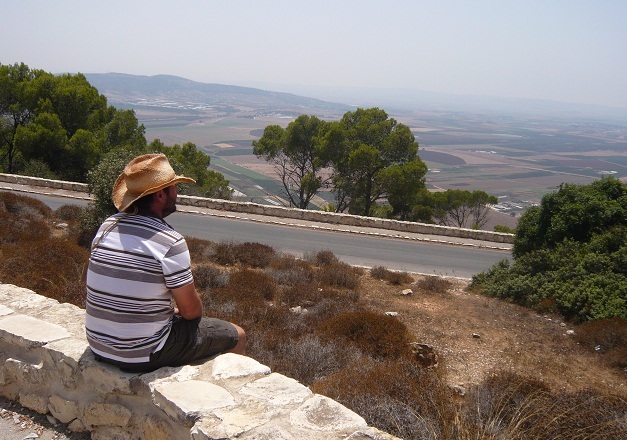 Now that I have purged my Jewish guilt for not having written you earlier, let’s get on with my Israel adventure. First, I want to thank my wonderful son-in-law, Phillip Dumond, for creating this blog site (he arrived here on June 26th.). I have no idea what “a blog” is, but he says I don’t need to know what it is, just how to use it. And he has promised to show me how. So, if you don’t get it, blame him. So here we go.